As the Narendra Modi government’s new guidelines for foreign e-commerce players kick in, Amazon and Flipkart regulars have a lot to prepare for. New Delhi: You probably should have bought that heavily-discounted top on Amazon, or the pair of headphones Flipkart was selling for a steal. The categories of goods consumers usually throng online stores for — lifestyle, fashion and electronic items — were expected to be most affected as the government’s new guidelines for foreign players in the Indian e-commerce market kicked in Friday. The new guidelines bar foreign e-commerce players from, among other things, striking deals with private companies for exclusive sales and selling goods of firms in which they have a stake. Amazon and Flipkart, which was founded by Indians but now counts US retail giant Walmart as its majority shareholder, are two of the biggest names in the Indian e-commerce market, and the disruption triggered by the guidelines will primarily affect them. The two giants operate on the marketplace model, which describes websites that only connect buyers and sellers — as opposed to directly selling to consumers. The marketplace model is the only e-commerce type where foreign investment is allowed in India. K. Vaitheeswaran, an e-commerce veteran who founded India’s first e-commerce company, Indiaplaza, said the guidelines will see a “significant number of products… taken off these websites for a while, especially the products that are branded and easy to stock”. “Electronics, books, fashion and lifestyle are the top categories that will be impacted,” he added. “Almost 40 per cent of the GMV under these categories is likely to be shaved off,” he added. Arvind Singhal of NCR-based management consultancy Technopak Advisors estimated that the revenue growth of these websites could fall by 8-10 per cent. E-commerce accounts for just 2.5 per cent of India’s $700 billion retail market, roughly $17.5 billion. However, it is pegged to register a massive growth in the coming years. According to a report by CitiResearch, India’s e-commerce market is expected to expand phenomenally in the coming decade at a compound annual rate of 21 per cent, hitting $202 billion by 2028. Traders have long accused foreign e-commerce players of eating into their market share through unfair practices, like heavy discounts and cashbacks. Believed to comprise a big chunk of the BJP’s voter base, traders have celebrated the guidelines, but the new rules have expectedly not been welcomed by e-commerce players. Industry experts said it will be weeks before the exact impact of the guidelines can be assessed accurately, adding that the websites may take six months to a year to “realign operations”. 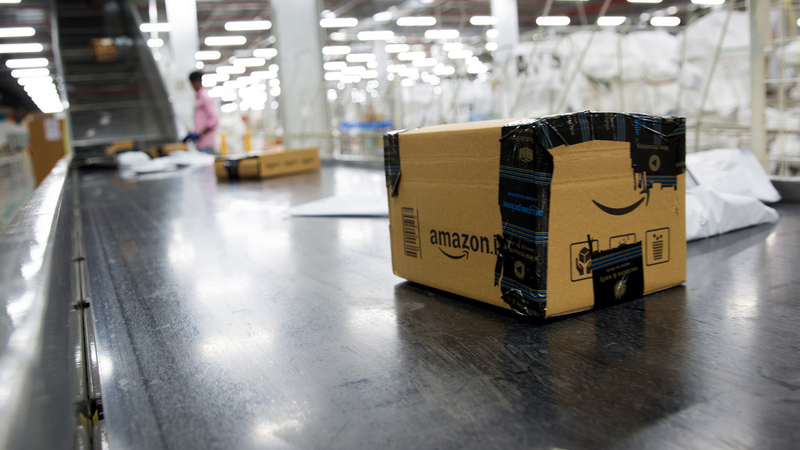 Amazon and Flipkart themselves remain tight-lipped about the expected impact. A mail sent to Flipkart had not elicited a response by the time of publishing. The report will be updated if they will respond. However, news agency Reuters reported in January that Flipkart had, in a letter to the central government, said that the company faces “significant customer disruption” if the deadline for the guidelines is not extended by six months. In December, the Department of Industrial Policy and Promotion released a note setting down new rules for foreign e-commerce companies. The rules primarily lay down three things: That e-commerce companies can’t sell their own goods or those of companies in which they have a stake, that they can’t strike deals with private players for exclusive sales (for example, when a phone is only available on Flipkart or Amazon), and can’t offer deep discounts and cashbacks. The rules gave the companies just over a month to realign themselves with the new changes, with the deadline expiring Friday. With the new guidelines expected to hit lifestyle, fashion and electronic items, which together comprise over 80 per cent of the gross merchandise value (GMV, the value of all products sold) of the websites, Amazon and Flipkart are scrambling to realign their relationships with vendors to mitigate the disruptive period. If realigned quickly, the move is not likely to take consumers away from online platforms. “It is only going to provide a level playing field for retailers,” said Kumar Rajagopalan, the CEO of Retailers Association of India (RAI). Amazon had already realigned some of its operations, The Economic Times reported Friday, by restructuring sellers for its Echo Speakers. The speakers were earlier offered by Amazon joint ventures Cloudtail and Appario Retail.